If you’re looking for new windows for your Surrey home, it’s important you get yourself down to a showroom before buying any. Visiting a windows showroom is the perfect way to get clued up on the various window options and form your own ideas about them. Knowing what to ask when you’re in there can also help you to find the best window deal. So, to ensure you find your dream windows, here are our top 6 questions to ask when you’re in a windows showroom in Surrey. 1. Which style of windows will suit my Victorian home in Woking? If you live in Woking town centre, perhaps on Board School Road, or slightly further away on Benner Lane, chances are you live in one of the stunning Victorian properties that are scattered around Woking. These types of property possess a variety of features that help them to retain their classic Victorian styling. So if you’d like for your home to continue exhibiting such refined style, it’s important you know which types of windows will complement it the best. In fact, knowing what style of windows is best suited to your home is important information for any homeowner. 2. What is the cost of new windows? The cost of replacement windows will be dictated by a variety of factors, including the number of windows that need replacing, their size and any furniture. However, we aim to work with our prospective customers to find them a dream solution, no matter their budget. New windows are an excellent selling point for a home, so bear this in mind too. 3. What accreditations do you have? Who a window installer is accredited by is an indication of whether or not they’re competent enough to carry out the installation work. Any companies that have no proof of the relevant industry accreditations should be avoided at all costs. We have an exhaustive list of accreditations, as outlined on our accreditations page, demonstrating that we’re not just a competent window installer but an outstanding one. 4. 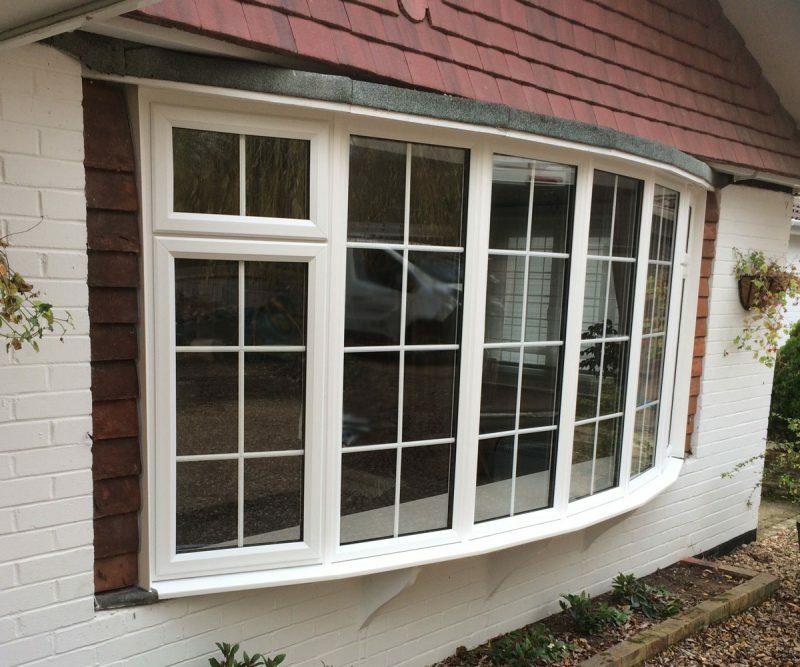 Do you install windows in Egham and Haslemere? If you live in Egham, which is located on the boundary of North Surrey, Haslemere, which is on the boundary of south-west Surrey, or another area on Surrey’s outskirts, it’s possible that a window installer will not work in your location. Therefore, the new windows you’re after might not even be available to you. Here at Sheerwater Glass, however, we cover the whole of Surrey so no matter where you live, our high-quality windows are available to you. 5. Is timber the best window material for my cottage in Guildford? Stoughton Road is one area in Guildford that is home to a selection of quaint cottages. However, windows are available in uPVC, aluminium & timber and each material performs and looks differently. Therefore, it’s useful to know their respective qualities as this will help you decide which material best suits your needs and your property. This is true regardless of what property you live in. 6. Can I find reviews of your work online? Online reviews are a great way to learn about an installer’s credentials, in a variety of aspects from their timekeeping ability to how tidy they are. Two independent review sites that are worth using to learn more about an installer are Checkatrade.com and Google reviews. Here at Sheerwater Glass, we have a rating of 9.8/10 from 421 reviews on Checkatrade.com. Come pay us a visit at our windows showroom, which is located in Woking. Members of our expert team will be on-hand to answer all of your enquiries, sharing with you their incredible industry knowledge to help you find the best windows for your home. To book an appointment, give us a call on 01932 344 415 or contact us online.